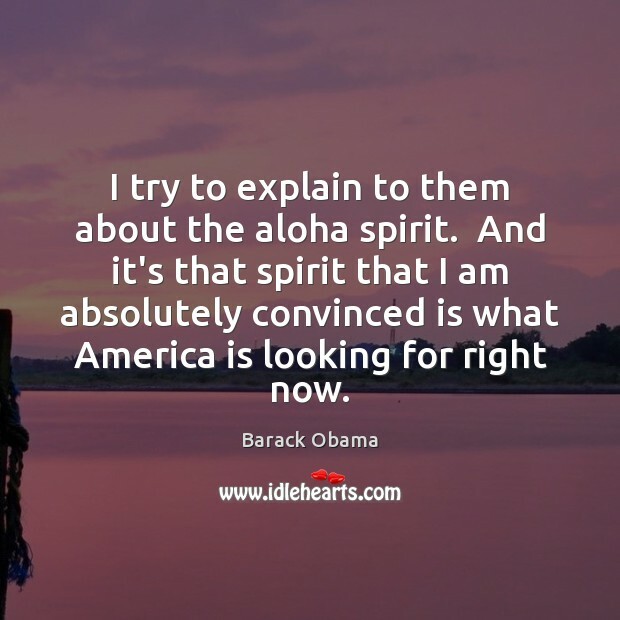 Quotations about Aloha. Quotes to stimulate mind and drive action! Use the words and quote images to feed your brain inspiring things daily! 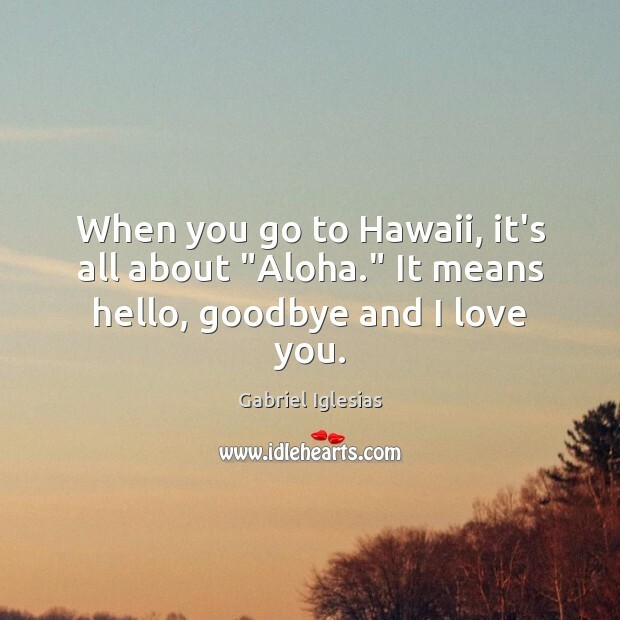 In Hawaii, we greet friends, loved ones or strangers with Aloha, which means love. 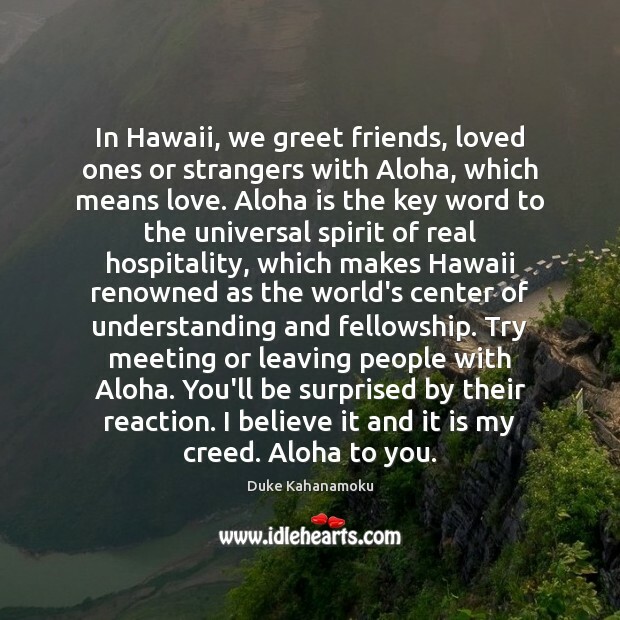 Aloha is the key word to the universal spirit of real hospitality, which makes Hawaii renowned as the world's center of understanding and fellowship. 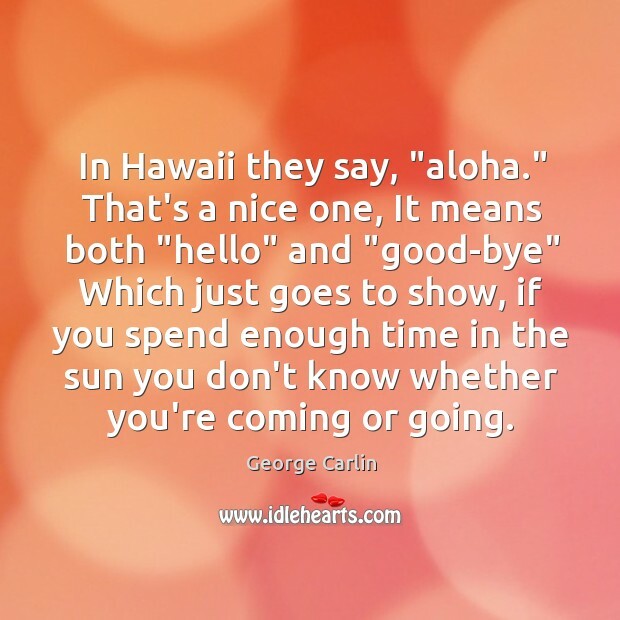 Try meeting or leaving people with Aloha. You'll be surprised by their reaction. I believe it and it is my creed. Aloha to you. I try to explain to them about the aloha spirit. And it's that spirit that I am absolutely convinced is what America is looking for right now. Hawai‘i Pacific University's new use of the iconic Aloha Tower Marketplace will continue its historic role of welcoming visitors, and now students, to the heart of Honolulu in a modern, vibrant mixed-use space. When you go to Hawaii, it's all about "Aloha." It means hello, goodbye and I love you. 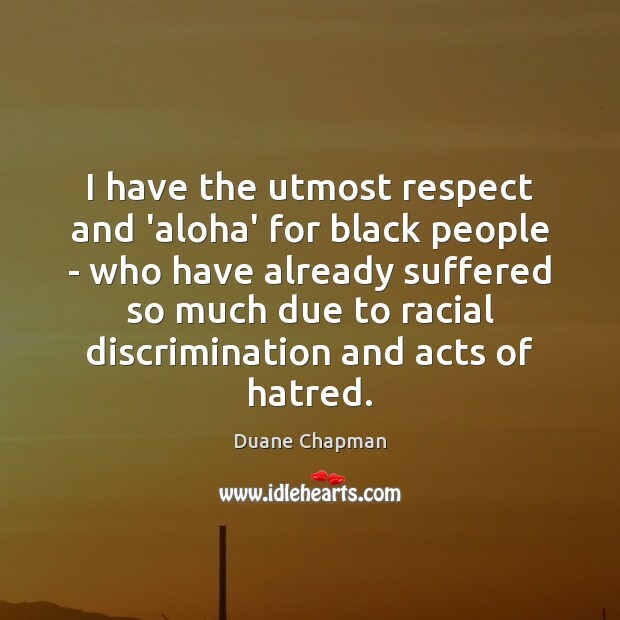 I have the utmost respect and 'aloha' for black people - who have already suffered so much due to racial discrimination and acts of hatred. 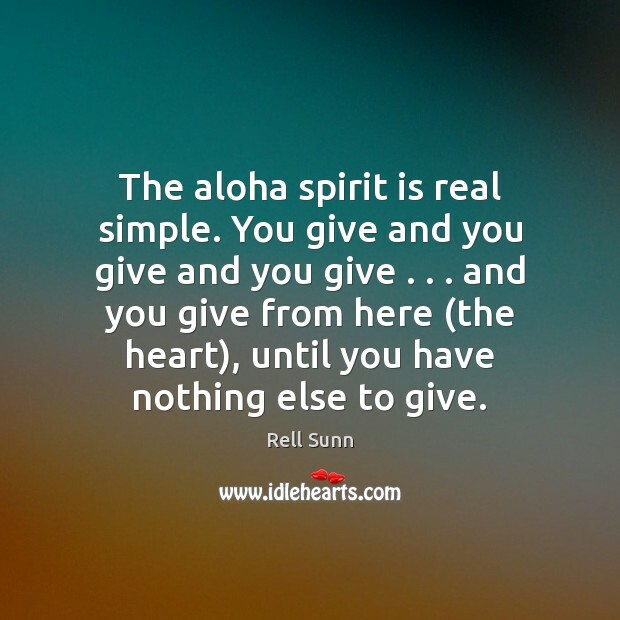 The aloha spirit is real simple. You give and you give and you give . . . and you give from here (the heart), until you have nothing else to give. 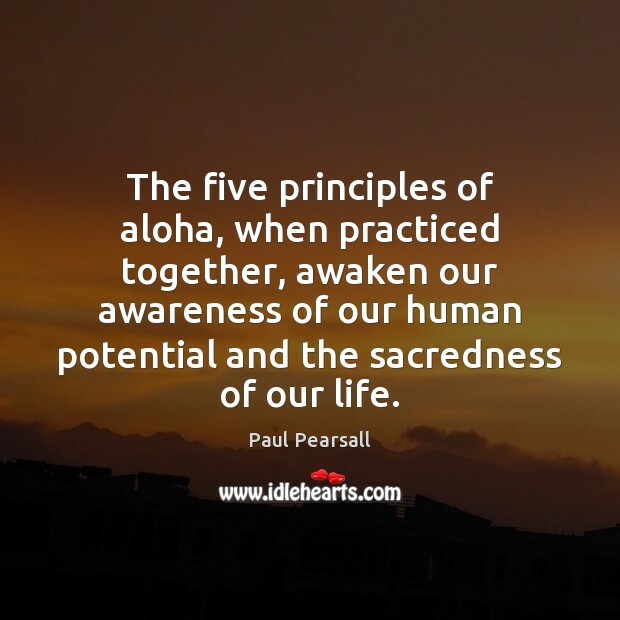 The five principles of aloha, when practiced together, awaken our awareness of our human potential and the sacredness of our life. I'll try to communicate, Taylor said. She spoke slowly and deliberately. Hello! We need help. Is your village close? My village is Denver. And I think it's a long way from here. I'm Nicole Ade. Miss Colorado. We have a Colorado where we're from too! Tiara said. She swiveled her hips, spread her arms wide, then brought her hands together prayer-style and bowed. Kipa aloha. Nicole stared. I speak English. I'm American. Also, did you learn those moves from Barbie's Hawaiian Vacation DVD? Ohmigosh, yes! Do your people have that, too? 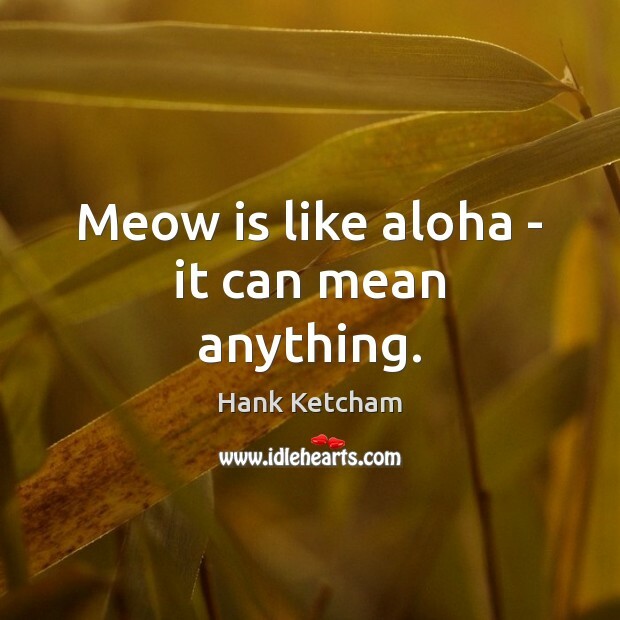 Meow is like aloha - it can mean anything. 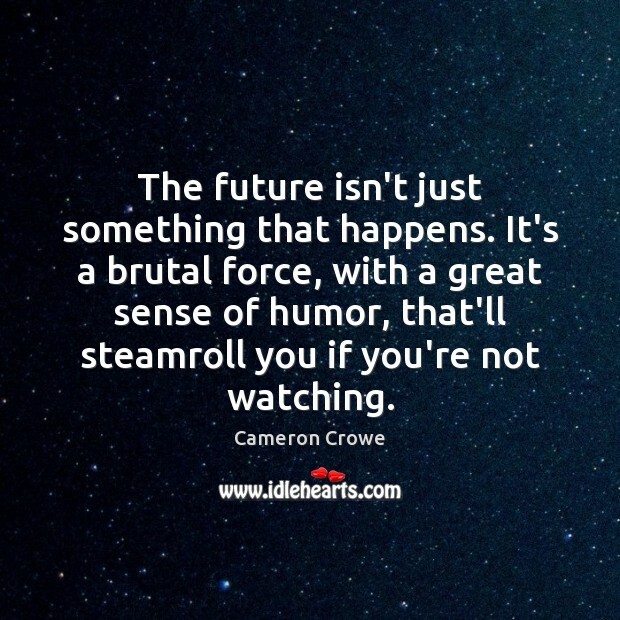 The future isn't just something that happens. It's a brutal force, with a great sense of humor, that'll steamroll you if you're not watching. In Hawaii they say, "aloha." That's a nice one, It means both "hello" and "good-bye" Which just goes to show, if you spend enough time in the sun you don't know whether you're coming or going. 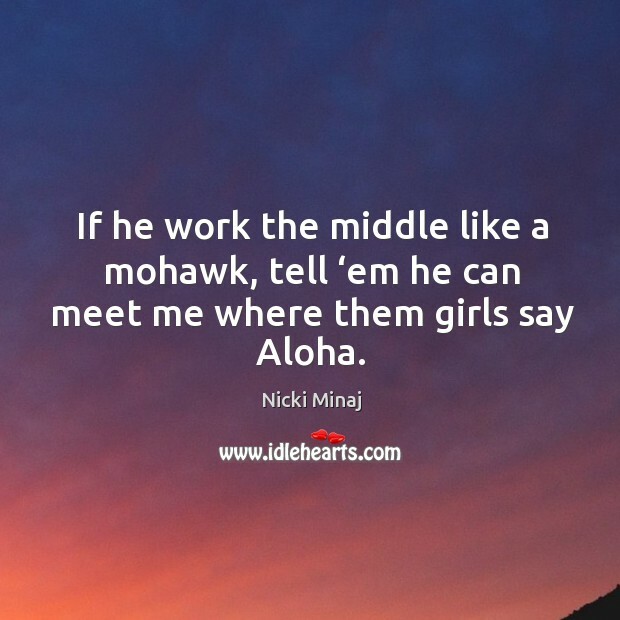 If he work the middle like a mohawk, tell ‘em he can meet me where them girls say Aloha.